See featured artist-in-residence, Marlene Howell, at work inside the museum! 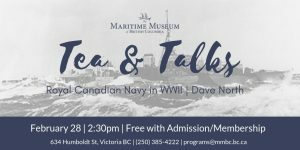 Museum volunteers, archival staff, and educators present unique artefacts from our collection, surrounded by discussions of maritime history and other seaworthy topics – all over a cup of tea and refreshments! 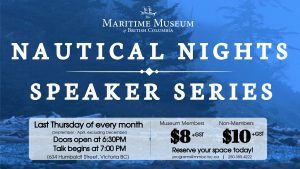 JOIN THE MUSEUM FOR A DRINK AND DISCUSSION ON OUR UNIQUE MARITIME HERITAGE, CULTURE, AND ENVIRONMENT! EACH MONTH FEATURES A NEW SPEAKER AND TOPIC.